We are pleased to welcome our fourth partner bank from Italy: Banca Popolare di Cividale is our 44th partner bank and will offer its deposit products on our localized platform www.weltsparen.de. 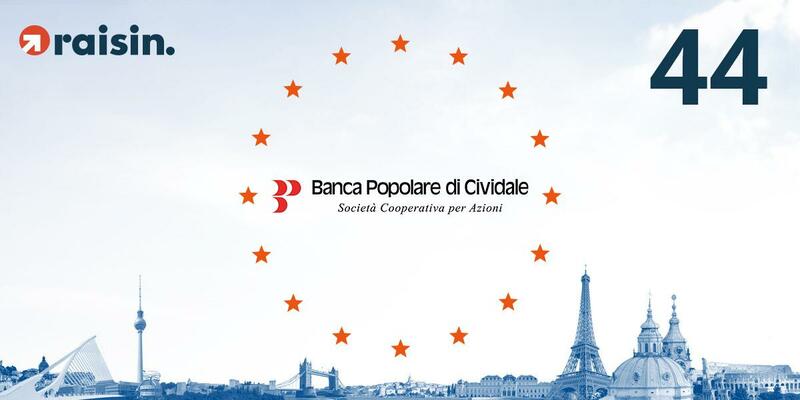 German savers can open deposits with different maturities with Banca Popolare di Cividale, that are secured by the Italian deposit guarantee scheme up to EUR 100,000 per customer, in accordance with European Union directives. Founded in 1886, Banca Popolare di Cividale is an independent cooperative bank headquartered in Cividale del Friuli, recognized by UNESCO as a cultural heritage site. Banca Popolare di Cividale is active in the north-east of Italy, where it operates 67 branches for its 100,000 customers. Banca Popolare di Cividale is a medium-sized bank in terms of total assets. The bank provides standard banking services with an emphasis on deposits and lending for private customers and local small and medium-sized enterprises. The bank has a core capital ratio of 13.63%, employs 600 people and has a deposit volume of EUR 2.567 billion (as of the 30th September 2017).